This 225m2 approx. 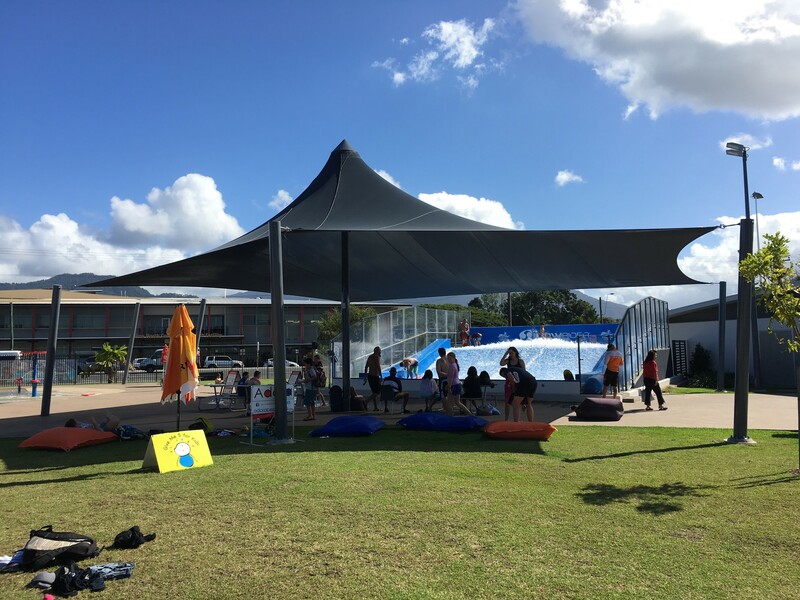 radial conical shade sail suspended by 5 perimeter columns and telescopic columns was designed to provide a shade solution to Flowrider users and spectators at Tobruk Pool. Engineered by GDI, the project has been a great success. The ‘graphite’ Monotec 370 sail provides protection from <90% UV-R and provides a welcoming amenity to the greater common area. The centre column includes light and audio.